Users with disabilities access virtual worlds on the 3D internet to run businesses, socialize without stigmas, and learn in new ways. 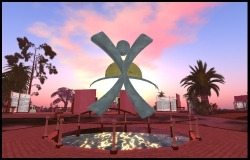 There’s even a “Virtual Ability” island in Second Life (originally funded by the National Library of Medicine and maintained through private donations) devoted to accessibility for disabled users. Just like the real world, however, virtual worlds pose access problems for disabled users. Vision-impaired users struggle with tiny on-screen interface elements, users lacking fine-motor control or use of extremities have trouble with keyboard and mouse controls, and hearing-impaired users are limited in ever-increasing voice communication. Third-party software and hardware helps, but businesses and educational institutions with virtual world presences could do more to enhance accessibility themselves — and some argue they may be obligated to do so under disability discrimination laws. Although the ADA states that places of public accommodation must be accessible to the disabled, websites are not mentioned as an example of such. 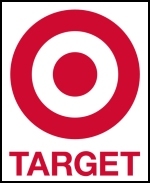 The NFB was thus forced to consider Target.com not as a physical place, but as a service and benefit offered by Target Corp by way of stores located in California. [...T]he settlement is ultimately a good leap forward. The fact that the case was heard at all, and that a settlement favorable to the Plaintiff was reached, indicates that web accessibility is becoming more than a frivolous side-topic of nominal interest. Decisions made in state law can hopefully create the leverage necessary to force businesses to evaluate their e-commerce policies. Although the Target settlement is about a 2D website, not a virtual world, it has clear applicability to 3D spaces. The argument is that both state law (particularly California’s disability discrimination law) and the Americans with Disabilities Act of 1990 can be applied to compel greater accessibility to web-based services. Under this theory, educational and enterprise virtual-world users (such as colleges requiring student attendance in virtual-world classrooms and businesses with both “click” and “brick” presences) could also be obligated to make their virtual world builds more accessible to disabled users. Although specific to games, an interesting article by “Dwarf Priest” regarding World of Warcraft creator Blizzard’s commitment to disabled gamers cites statistics showing that between 5% and 10% of game players have disabilities. Presumably, the numbers for social virtual worlds would be similar. This is one area where virtual law could lead more general internet law. From a practical perspective, a non-technical fact-finder is going to more easily see a 3D virtual classroom with seats, a lectern, and a big screen showing PowerPoint presentations as a “public accommodation” under the ADA or similar state laws than a less obviously analogous 2D website, wiki, or course blog. Applying disability discrimination laws to electronic resources is controversial, and would represent a major reinterpretation of these laws. Walter Olson, who maintains Overlawyered.com (a site chronicling the costs of the U.S. legal system) argues that applying the ADA and similar state laws to electronic resources will stifle innovation and that the move poses a “serious threat to the freedom, spontaneity and continued growth” of the 2D web. Presumably, Mr. Olson’s argument (set forth before the emergence of virtual worlds) would apply to the 3D internet as well. This issue is likely to arise more often as more jobs, educational opportunities, and government resources depend on access to electronic resources — both on 2D websites and, particularly, on the emerging 3D internet. I think that if someone can’t see, they buy a bigger screen…. they don’t blame the company that wrote the small fonted text. If anyone disabled feels they need to complain about the new possibilities and benefits virtual worlds offer, please do so. I actually did a feature article over at Massively on this exact subject a while ago. It’s an issue that I think game developers should pay more attention to. Thanks Cameron. Great article. I’m surprised I didn’t come across it when researching this. Definitely recommended reading. True (to an extent), however it’s more a matter of perception than technical innovation. The public accommodation of digital media for users with disabilities remains an elusive yet worthwhile goal, and not just in the commercial retail sector. Websites and virtual worlds (the 2D and 3D web, respectively) allow educational institutions to widely distribute content to students who otherwise cannot physically attend a class. It was only until recently that Apple, recognizing the needs of this demographic, agreed to make all versions of its iTunes service fully accessible by mid-year 2009. An accessible e-government offers representation completely free from examples of discrimination detailed in the US Constitution. Yet many government websites continue to fail even the basic criteria of accessibility. Virtual worlds in particular provide excellent learning opportunities for users with cognitive disabilities. There are many cases of folks with autism who use Second Life to practice social interaction skills in a comparatively low-risk setting. As you can see, it’s less about the tools entering the marketplace, more about the context of use. While I do see your point, consider this: what good are new technologies for the disabled if we as context creators do not design for their adaption? As far as Virtual Worlds and people with disabilities: yes, Virtual Worlds are very visually biased at this time. Some of that is unavoidable (until some VR technologies come a lot further perhaps)- just part of the nature of the medium. And some of this visual nature allows for some amazingly creative 3-D artforms which I would never want to be stifled. Though it’s desirable to make the visual components more accessible to persons with limited vision, let’s also consider persons with physical disabilities. For persons such as paraplegics, using online gaming and virtual worlds can be a offer opportunities not available in the physical universe. Mobility is not an issue, for a physically disabled person in a virtual world. They have all the same freedoms and capabilities as anyone else in that arena. With their avatar they can appear as they wish, and can fly, run, ride a horse, and chase the bad guys…not to mention being able to socialize with anyone from all over the world. And that can be a very freeing experience.